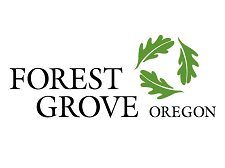 If you want a lifestyle without the pressures of big city living, slower pace, nationally ranked schools, low crime, affordable housing, historic downtown, sporting and cultural organizations, abundant parks, excellent shopping and surrounding scenic beauty, then Forest Grove may be your ideal city. They take pride in civic involvement and their events, streetscapes and beauty reflect this. Since the earliest days of their settlement, they have valued and preserved the trees and greenery, which has earned them the Tree City USA distinction for twenty consecutive years.